2. 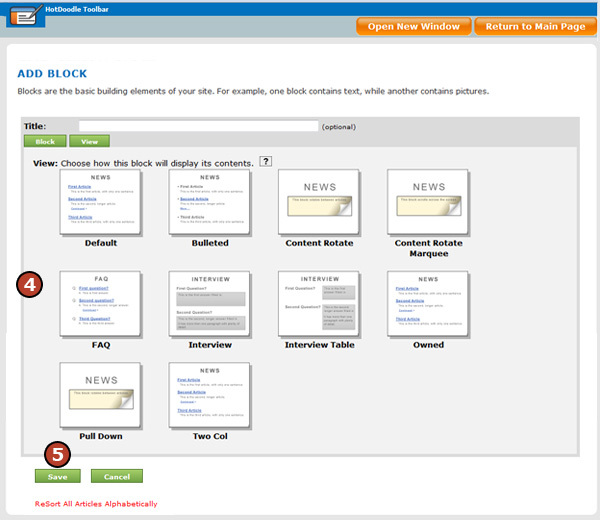 Click the "Config Articles Block" link above the Articles Block you want to change the view for. 4. Click on the view you would like to select for the Articles Block.